High flow support Gravel for Whole House Water Filters that use activated carbon and other media such as multi-media. For 8" to 12" diameter tanks. 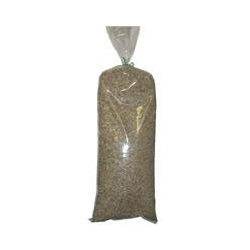 High purity reliable quality gravel that makes this media great for filtration applications. Works as a support at the bottom of a water filter tank to help other media perform. Acts as a support for filter medium. Gravel media is cleaned to remove all shale, clay and inorganic impurities.